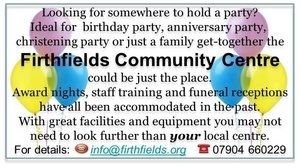 Firthfields Community Centre is a thriving venue which is available for private or group hire and is based in Garforth, Leeds. The Centre is adaptable for many uses and can be hired for private use such as birthday parties, anniversaries, wedding receptions, christening parties, funeral receptions as well as award nights, staff training, public consultation exercises and many more. With a fully stocked kitchen, plenty of tables and chairs we are well placed to deal with most requests. The Centre is currently hired by various regular groups for activities from dance, karate & kickboxing to various toddler groups, art classes, and a Militaria Society. 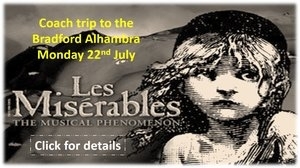 In the past we have accommodated a local football club, Judo, TaeKwanDo, Line Dancing and Pilates. Please contact us if you are interested in hiring the centre out. 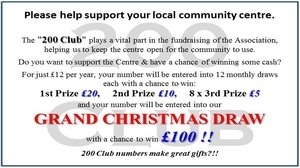 As Firthfields Community Centre is a registered Charity, the Centre also hosts a variety of fun Community Events throughout the year to help fundraise for running costs. 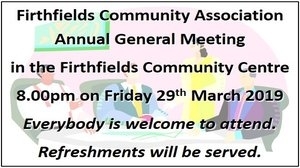 You can find out more about our community events here.